While everything is getting more advanced with technology, dating is changing. And like the old times, it shouldn’t be hard to have a casual night out with the perfect stranger. Traditional ways of getting lucky for a night are fading fast and it’s time you jump onto something that helps you advance. Fortunately, in this 21st century, you now have dozens of apps that help you find the perfect hookup partner you have been wanting. 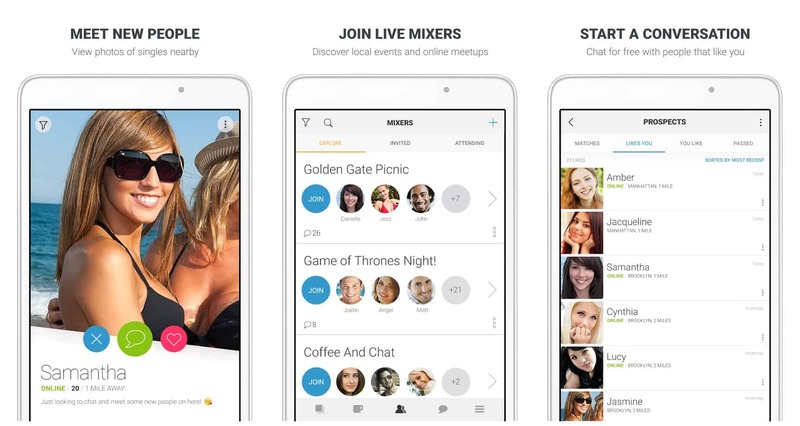 In the following roundup, you’re going to discover 10 best hookup apps for Android that will help you have that perfect casual night using your smartphone. If you have ever tried to do online dating, you have probably heard of Tinder. It’s an app that helps you find people who you match with and that is where it all begins. It shows people who are around your area and you can then either like or dislike them by swiping their pictures to the right or left. When it finds a mutual like, you get a notification and can start talking to the person. 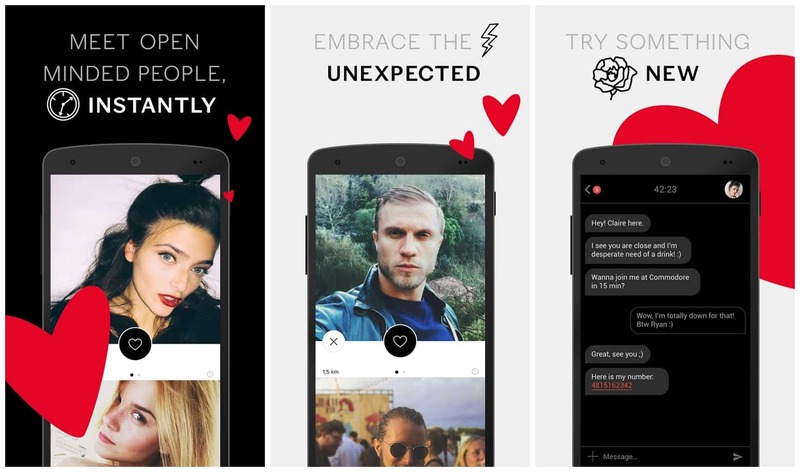 Although many say the app is for dating, there have been many successful cases of getting lucky with the app so go ahead and give it a shot. 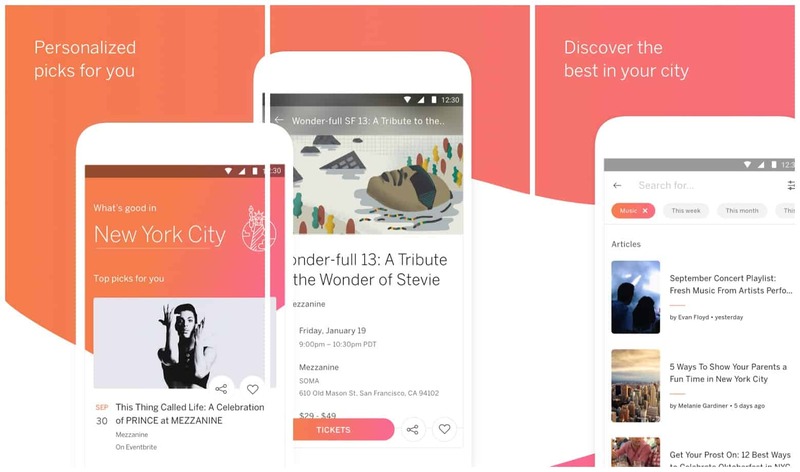 Eventbrite has been used to help people create events and invite people to attend them. 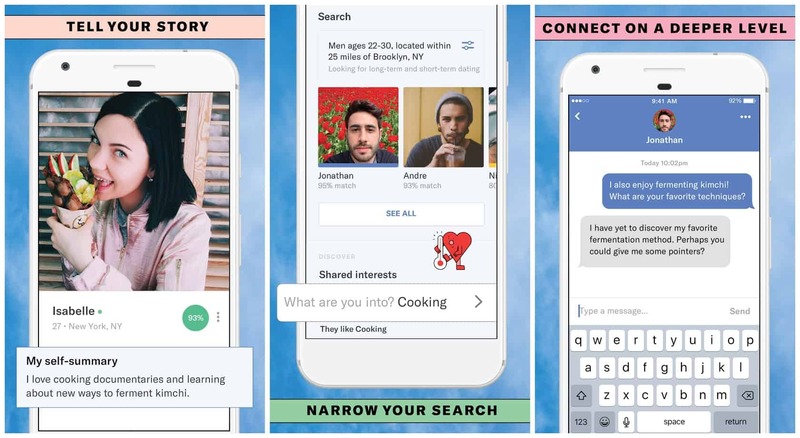 Although the app looks less like a hookup app, it does help you meet new people who share the same interests as you and you can then take it from there. So, rather than spending a day at home and just waiting for the opportunity to knock at your door, start using Eventbrite and find and attend nearby events to find people who also use Eventbrite to get a casual partner. 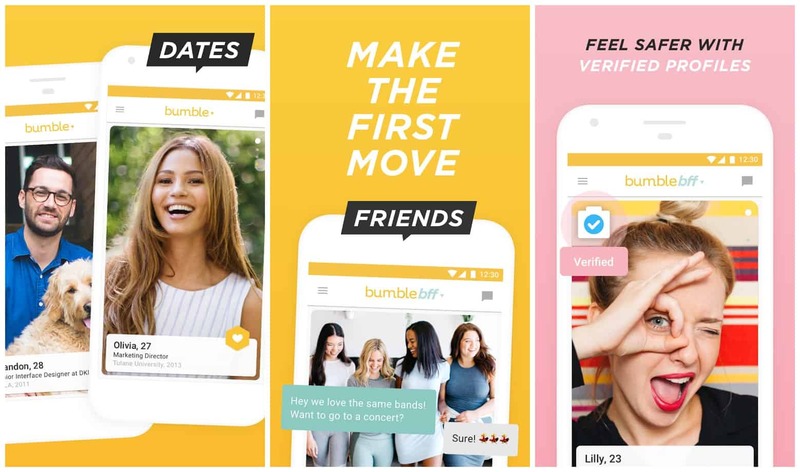 If you are the kind of guy who loves getting approached by women, you will love the Bumble app as it allows for women to take the first step. Once you have registered yourself as a guy in the app, simply wait for a woman to take action and approach you. As long as women in the app see their casual partner in you, they will be happy to approach you. This is more of a women to men approach so you will have to be patient and wait until someone knocks your profile and invites to have a conversation. If all goes well, you are sure to have the next morning breakfast with her. If there’s one app that has a large user base, it’s OkCupid. With millions of people using the app, you are sure to come across someone who will just love you for who you are and be ready to spend a night with you. 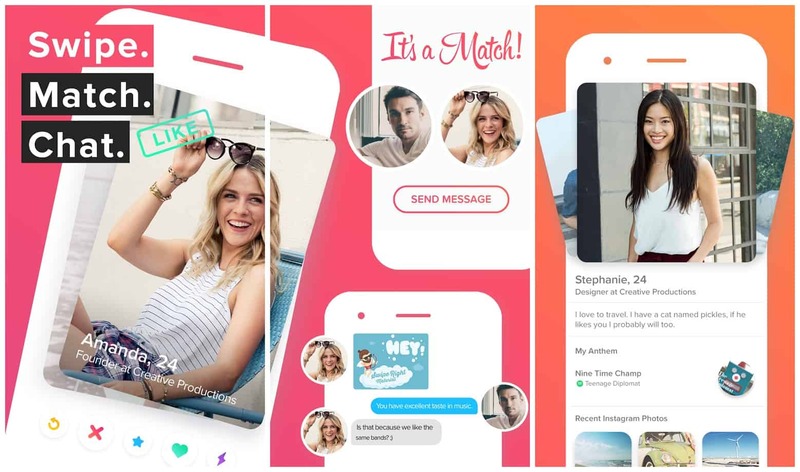 The app offers features like matching where you can see people who share similar interests, messaging tool that helps you message people who you like, and there is a never-ending addition of new features to the app. It also has a premium subscription that lets you enjoy more features than what free users can do. 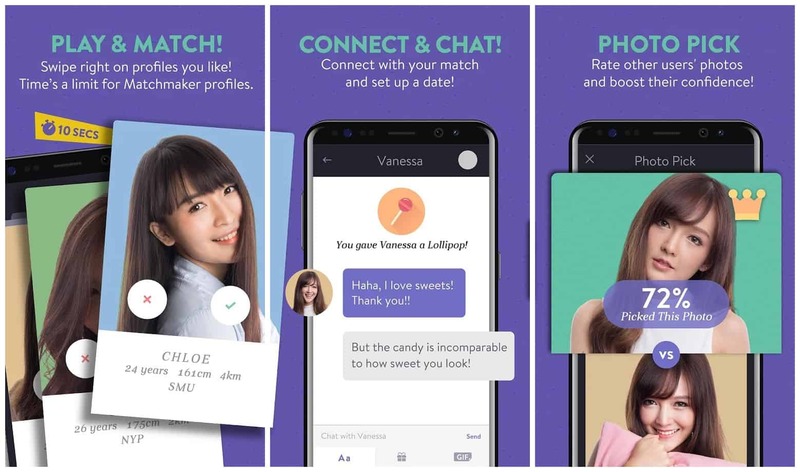 Coffee Meets Bagel is kind of a modified version of Bumble and is tailored towards women where they can initiate an action and men just have to wait for someone to ping them. The app approaches hooking up in more of a professional way where it gives you a list of people who like what you like and lets you connect with them. It comes with a few preselected questions that help you get going with the conversation and hopefully help you end-up getting what you wanted. Paktor is for those of you who are madly in love with Asian people and would like to hookup with one. 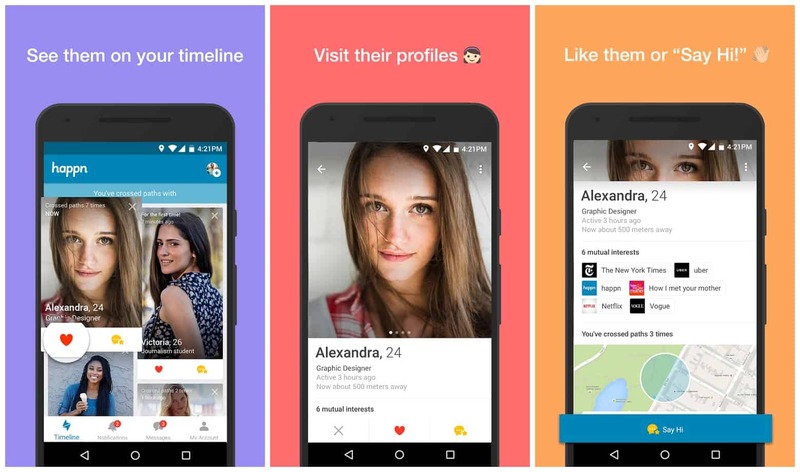 Once you have installed the app, you can start swiping to like or dislike people. When you find someone you are interested in, simply like them and if they do so in return, you have a match and are ready to have a conversation with them. It also has a group chat feature that helps you chat with people in group so you can find the perfect one for yourself. 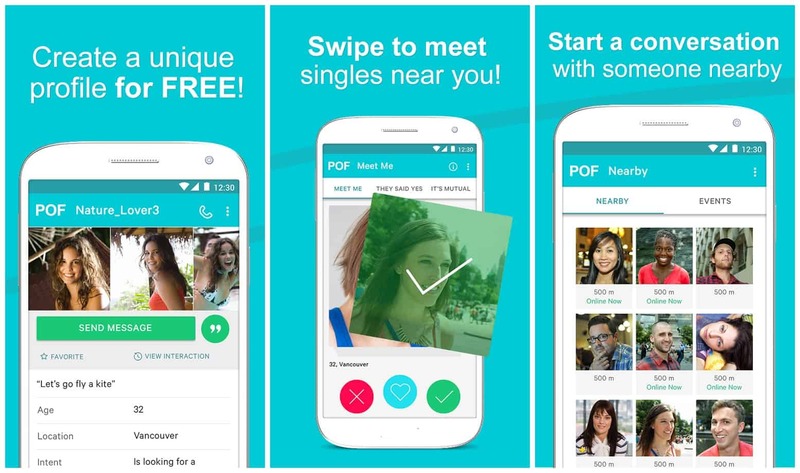 The app guarantees that you will definitely end-up meeting someone who likes you. Go ahead and give it a shot as there is no reason why not to do it. Plenty of Fish has been around for a long time serving millions of people around the world. The app is full of people who are ready to go on a date and hopefully end-up having the great night of their life. After downloading the app, create a profile and enter in your details like who you are, what you do, and so on. Once that is done, feel free to go through the people shown in the app and message them if they would be interested in hanging out with you. If you go for the premium subscription, you get features like VOIP calling so you can talk to the people you like in the app. What happn does for you is it helps find people who cross over your paths everyday. By locating where you are using your GPS data, it tracks you and other happn users and lets you see the list of people who have crossed your paths. It will likely put you in touch with the person who you often cross paths with and this helps sparking a conversation and finally ending-up on a date. The app works on a mutual match function and helps you meet really interesting people. Pure focuses on quick, direct, and discreet hookups by letting you find people who are there for a quick spark and not long, tedious, and emotional relationships. Once you have setup your profile, it stays there only for an hour and then everything gets deleted. That means you get an hour of time to find the one you are looking for and get going. Once the time period is over, you will have to start everything from scratch. It will definitely help you meet people who are up for some instant action. If you would like to select someone from a pool of people, Clover is for you. Install the app and enter in the information it asks about you. Once that is done, you’re ready to explore a whole bunch of people who are similar in terms of profiles. You can also search for people using various filters so you can find the one of your dreams. You can also filter people using options like what they are looking for, and so on. If a casual relationship is what you want, you can select that from the menu. So, above were 10 best hookup apps for your Android device. Use them to find and spend a beautiful night with someone.